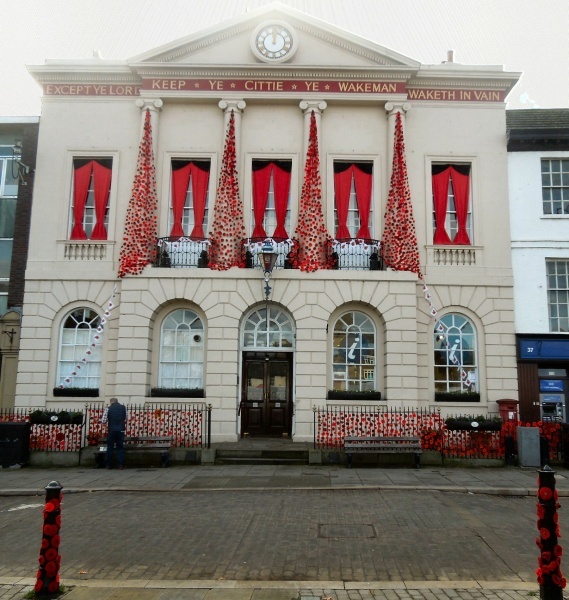 Maggie Cobbett » Ripon Remembers. 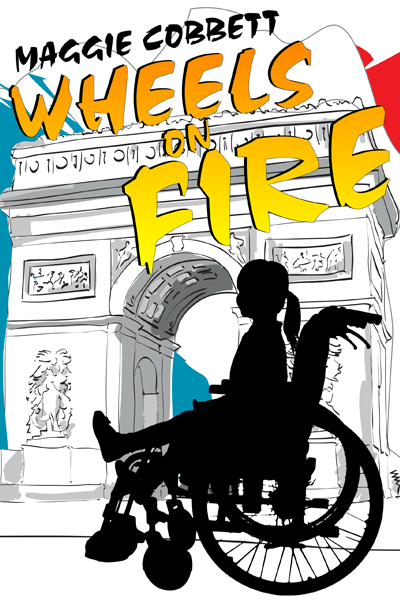 I’ve never been prouder of my adopted city than over the last couple of weeks. 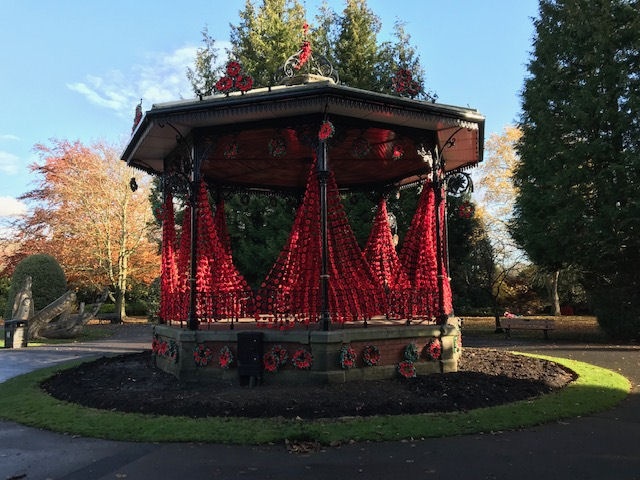 An angry comment from a veteran to Councillor Stuart Martin last year about the dismal effort made to commemorate Remembrance Day has led to an explosion of red all over the Ripon district. 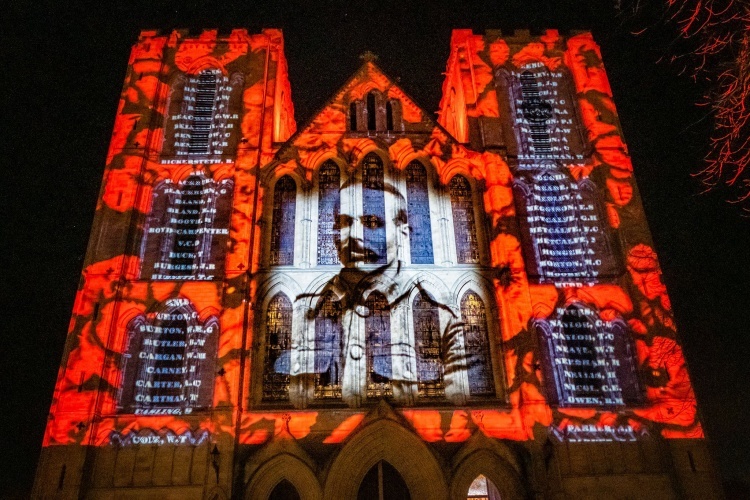 He and the indefatigable Hazel Barker have spearheaded a tremendous community effort. 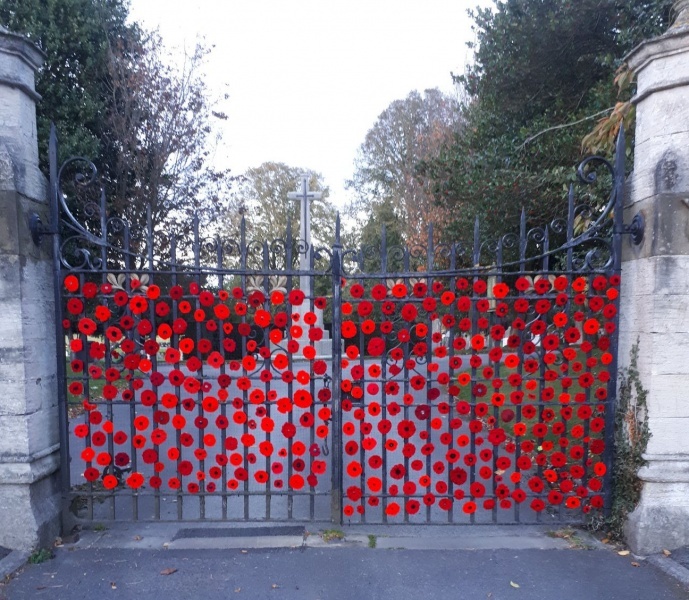 Well over 50 000 knitted and crocheted poppies, produced and sewn onto netting by many willing hands, lined the route from the Cenotaph to the Cathedral in preparation for Sunday’s parade. 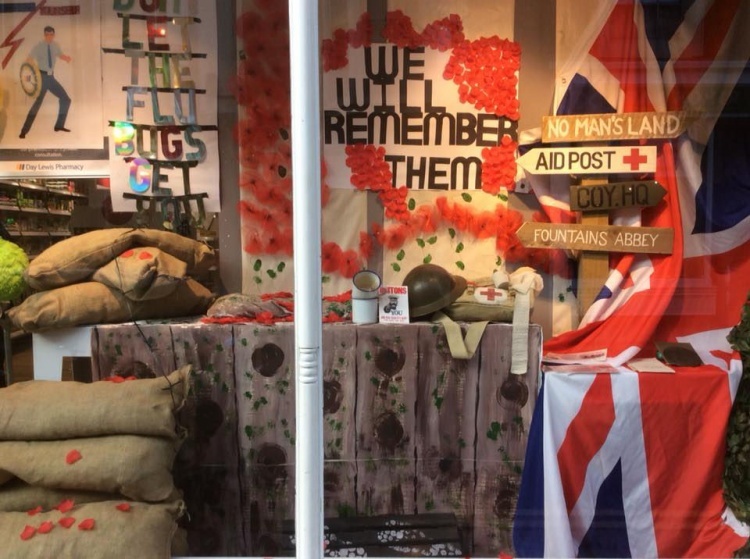 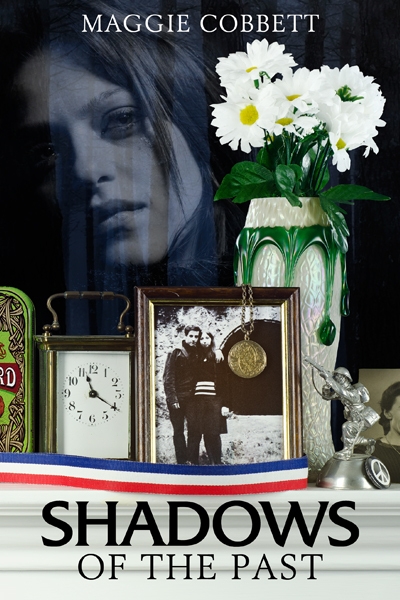 Not only that, they’d spilled out into the Spa Gardens, were to be seen in every shop window, all over the Market Place and the Town Hall… I could go on and on! 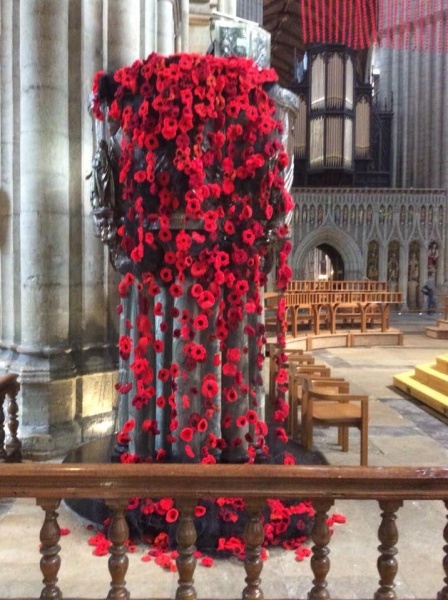 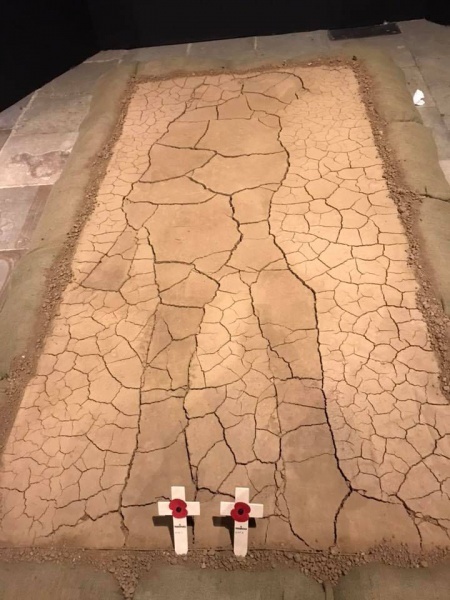 All the stops were pulled out at the Cathedral too, with its Fields of Mud installation (the magnificent creation of local artist Dan Metcalfe), Wall of Remembrance, poppies cascading from the pulpit (and just about everywhere else) and silhouette soldiers on guard. 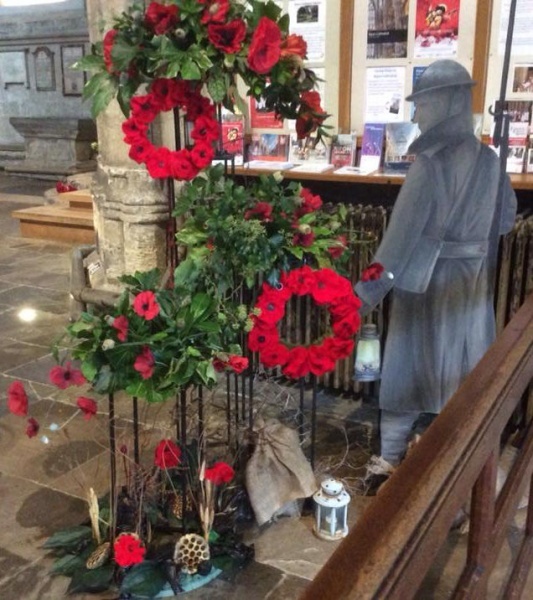 Roundabouts and other entry points to the city sported large wooden poppies produced by the JennyRuth workshops. 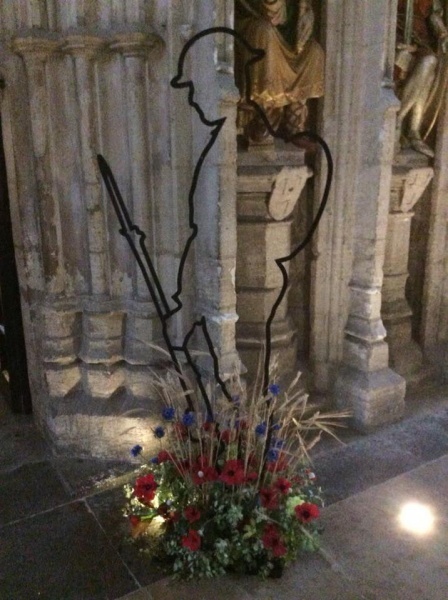 Memories of the Concert of Remembrance will stay with me for a long time and not just because my eyes were wet for most of it. 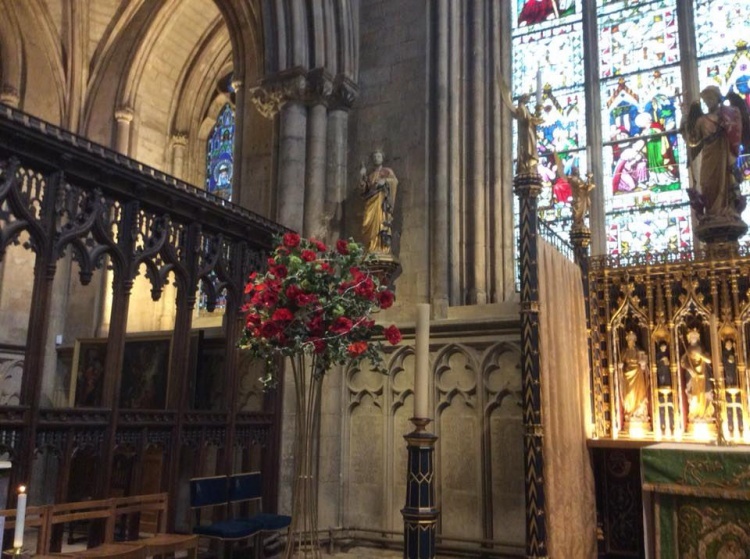 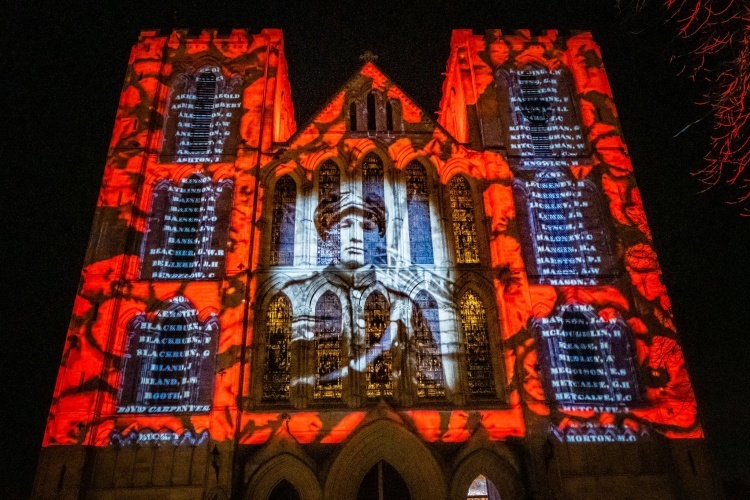 During the readings and while the Dishforth Military Wives, Cathedral Youth Choir and Combined Ripon Primary Schools sang and Ripon City Band played, the names of the fallen were scrolling up endlessly on a screen above their heads. 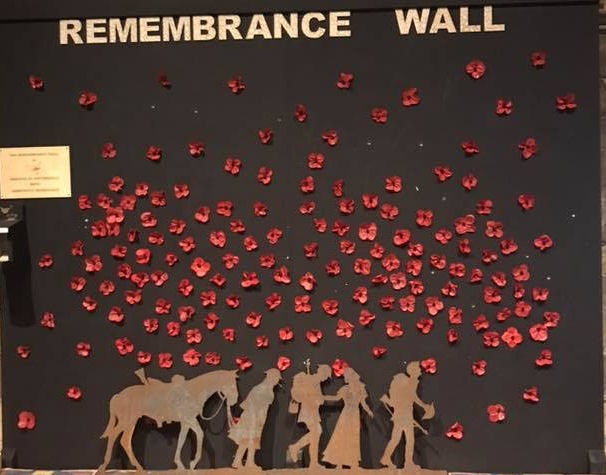 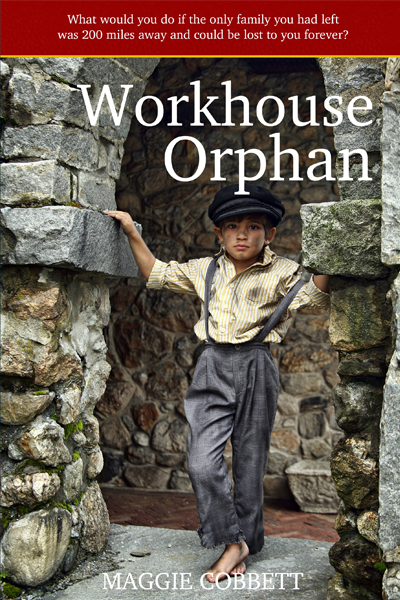 All the surnames were local ones, often repeated, which really brought home the losses to individual families in a community that only numbered around 10 000 at that time. 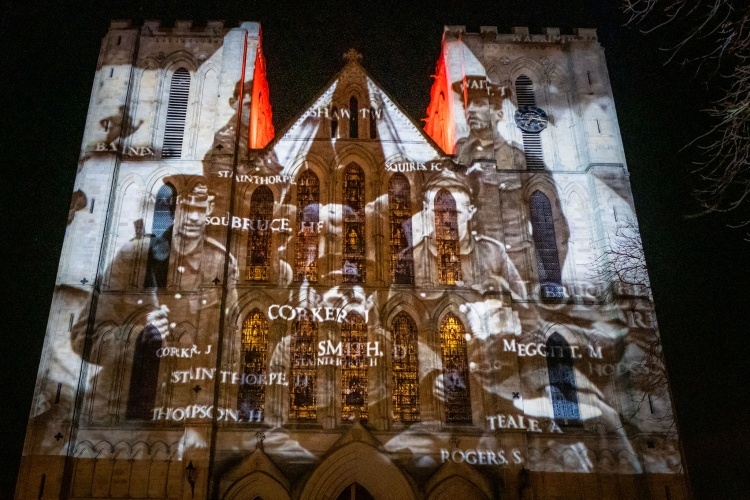 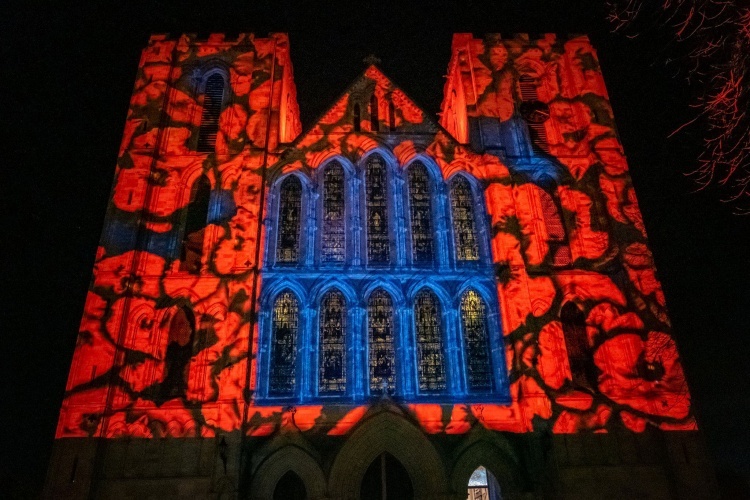 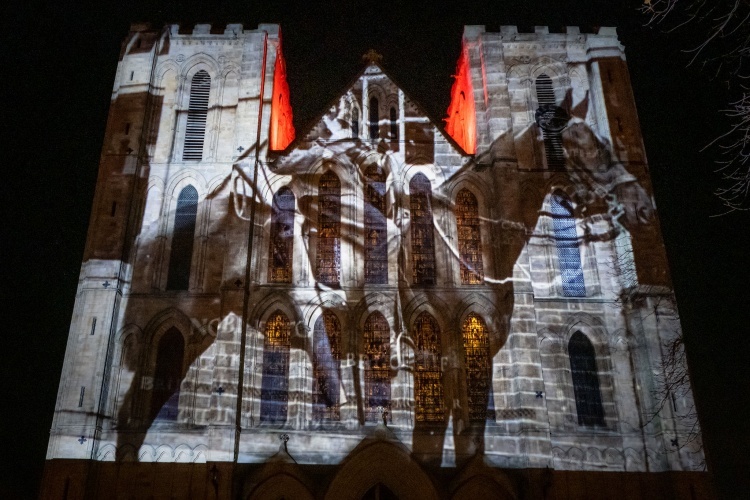 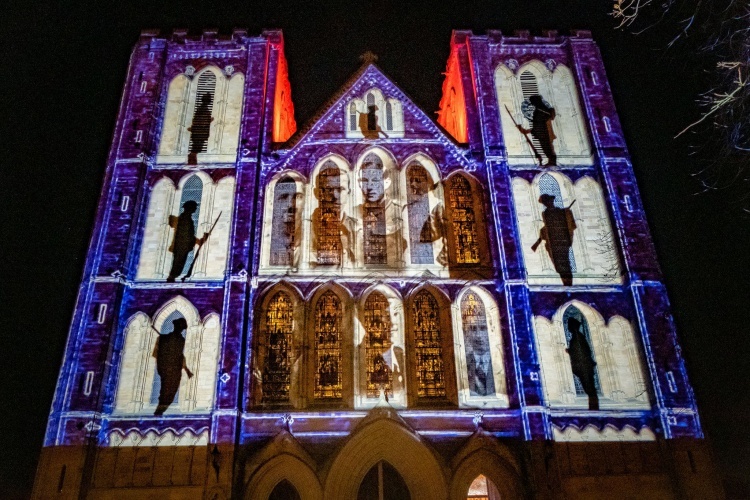 A fabulous light show projected onto the west facade of the Cathedral attracted large crowds on several evenings. 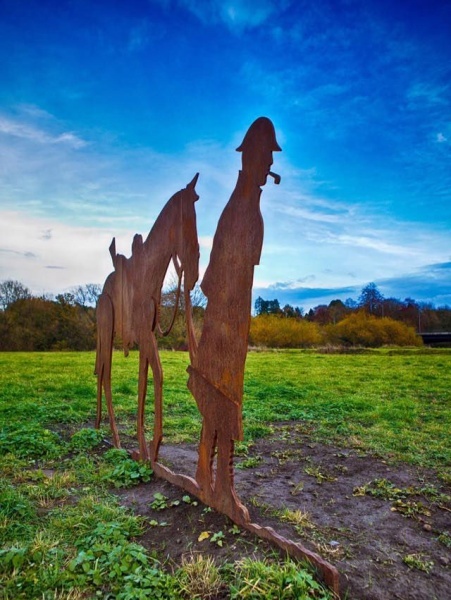 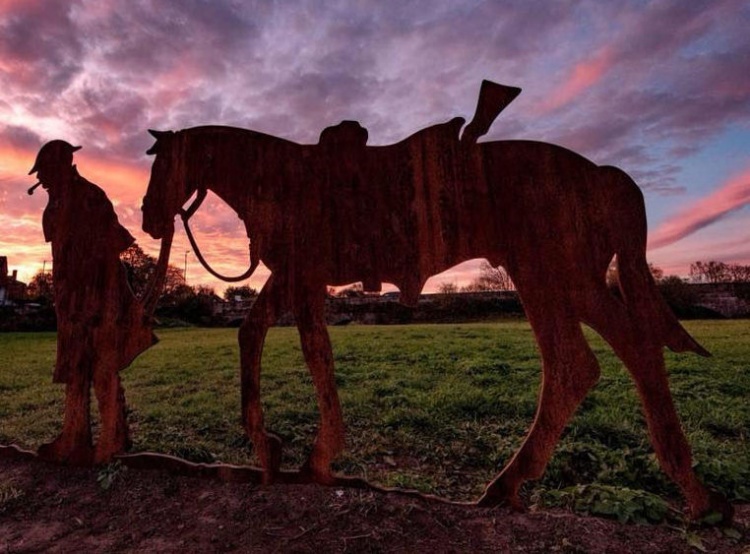 Photographs of soldiers and their horses alternated with displays of poppies and lines from well known war poems. 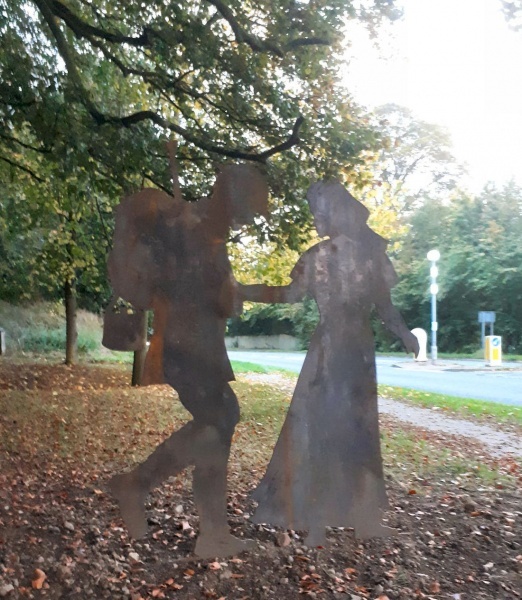 Wilfred Owen wrote some of his best while stationed in Ripon, which was home to a huge military camp throughout the hostilities. 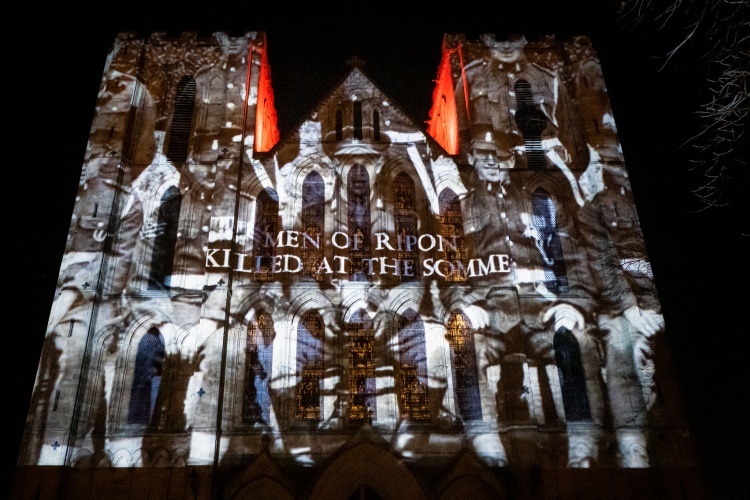 Ripon’s contribution to the centenary of what we now call the Great War has been recognised all over the UK and beyond, featured in both local and national news broadcasts and LEST WE FORGET was on everyone’s lips.